The StarWalker World Time fountain pen by Montblanc lets you know the local time anywhere in the world. Simply turn the cone and you have the whole world in your hands. 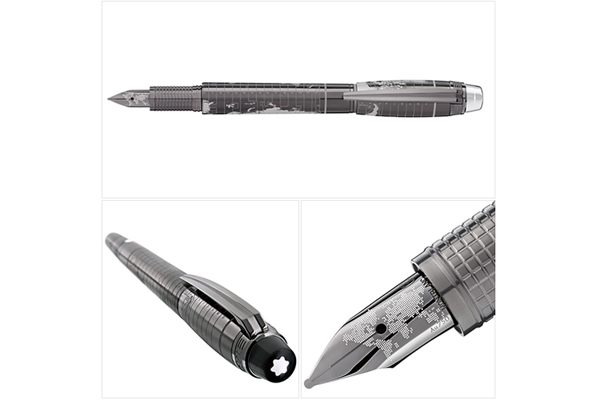 Featuring a handcrafted, ruthenium-plated Au750 / 18 K gold nib engraved with a world map, it is sold around US$ 5,700.